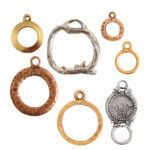 Nunn Design Toggle Bars and Rings are a great way to bring closure to any jewelry project. 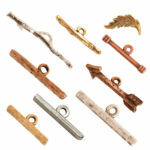 All of our toggle bars are cast in lead-free pewter and plated in copper, 24k and .999 fine silver. All of this is done in the USA.